Charity Acuity: Accounting, tax and finance briefing for Charity Trustees and Senior Management teams. Click on the links below to read the full articles and briefing notes. We do hope you find the information and forewarnings contained within this edition to be useful. Give Adrienne Airlie, or your usual charity contact at Martin Aitken & Co, a call if you want to discuss any aspect further on 0141-272-0000. Following on from the session Adrienne Airle, Martin Aitken & Co hosted at the Gathering 2015, on the new SORPs and the differences that will be experienced by charity finance directors & managers between the 2005 SORP and FRS 102 or FRSSE 2015 SORPs, she has provided a brief update on the changes that have also been brought in for all charities regarding the Trustees Annual Report (TAR). The new SORPS state that the TAR must provide a fair, balanced and understandable review of the charity’s structure, legal purposes, objectives, activities, financial performance and position. The seven main headings that existed in the 2005 SORP have been retained. However, to improve the quality of the TAR specific changes have been brought in for all charities – regardless of size. Your reserves policy now needs to be explained and linked to the value of the reserves. Furthermore an explanation as to why reserves are held has now to be given. If the Trustees decide that holding reserves is in fact unnecessary the TAR needs to disclose the fact and provide their reasons. If Trustees’ number are greater than 50, then the old exemption which limited disclosure to a maximum of 50 has now been removed. In addition, for those charities with income in excess of £500,000 the following are some of the changes that will need to be reflected in the TAR for accounting periods that begin on or after 1/1/2015. 1. Additional risk disclosure: Trustees must identify the principal risks and uncertainties impacting on the charity and their plans and strategies to mitigate those risks. 2. Trustees need to disclose the charity’s social investment policy which will involve identifying how its programme related investments contribute to the achievement of its charitable aims and objectives. 3. 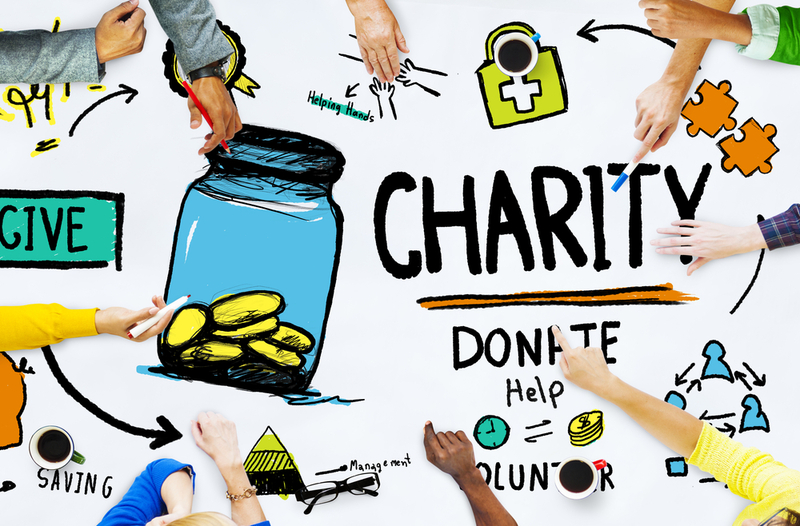 A charity must also detail the financial impact of significant events and significant charitable activities throughout the year. 4. In the ‘Structure, Governance & Management’ section of the TAR, Trustees need to provide the arrangements for setting pay and remuneration of the charities key management personnel and any benchmarks or criteria that are used in this exercise. Some of the disclosure changes such as the remuneration basis are going to cause concern amongst Trustees, serving to further fuel some of the negative commentary in the press regarding Executive pay. However, charities must embrace the increased transparency that the new SORPs will provide. Not only will they provide enhanced disclosures and enhanced reporting, they will provide Trustees, charity managers, all stakeholders, funders, and the wider public, with increased transparency and the increased confidence that follows on from this. Especially in terms of how the charity uses and appropriates its funds and how these funds are being used to deliver its charitable objectives - with much less room for doubt and that can only be a good thing for the Third Sector. Looking ahead: what can charities expect from UK Parliament? Following the rather unexpected overall majority result for the Conservatives in the General Election earlier this year, what can charities expect up ahead from the new Government? There will be further spending cuts. The Conservative Government is aiming to reduce the UK’s budget deficit and run a surplus by 2018. Spending cuts will be introduced to help achieve this aim, including the commitment to reduce the welfare bill by £12 billion per year. Some of the cuts were announced in the Budget on 8th July and there are likely to be more to follow >read more. There will be inevitable knock-on impacts to the Scottish block grant in the year ahead, and to the current and future service contracts being delivered by third sector organisations in Scotland as the Scottish Government looks to make savings. Doing more for less has become the norm post-recession. With the benefit cap also to be lowered from £26,000 to £23,000 this is likely to have further impacts on those who are currently accessing charitable services to help them to live their lives and get by. Many charities expect demand for services to go up at the same time as the funding available to provide such services is likely to go down. Public services are likely to contract further. Albeit that Scotland is slightly different position than the rest of the UK, we are likely to see a continuation of the movement towards service contracts and away from grant funding for services. We can also expect to see an increase in service contracts which are outcome driven and payment by results contracts for social investments, such as social impact bonds especially in the areas of youth unemployment and homelessness. Although the future of the welfare provision in Scotland is currently the subject of much debate in the media and between the respective UK and Scottish Government, we can expect the role of charities, social enterprises and SMEs to increase on the back of the Conservatives manifesto commitment to expand the welfare to work programme. Free care for the elderly could be reviewed. Fiscal Affairs Scotland recently called for the Scottish Governments flagship free care for the elderly policy to be re-examined. The bill for providing free care to the elderly has soared to almost £500 million per year, which is rise of around 60% in real terms between 2004-05 and 2013-14. With demand for care services in Scotland only going to go one way with people living longer there are some significant doubts being expressed by the Scottish Conservatives health spokesman, Jackson Carlaw as to the policy’s affordability as the costs continue to rise and show no sign of abating. Volunteering continues to be supported in the Big Society. Once again the Conservatives promoted the benefits of the Big Society in their most recent manifesto and they have followed this up by promoting both a National Citizens Service and by offering 3 days paid volunteering leave for those employed in the public sector and in big businesses. Charities should take note as this could be a good way of engaging with businesses in your local area who are willing to ‘loan’ their employees for a few days to help out with various projects, not to mention signing up additional volunteers to run, jog, walk, toddle on a sponsored basis on your behalf. Social enterprises, especially those that encourage greater engagement in the local community, are likely to receive more support in this Parliament. The Government wants to give people the power and support to set up more social enterprises in their local areas. The Lobbying Act is here to stay and it is unlikely to be repealed. However, a review into how the Lobbying Act is being put into practice in being undertaken by Lord Hodgson and he will assess whether charities and other third parties who undertake campaigning activities have fully understood and complied with the regulatory duties. The report is due to be published in November 2016.
be available for the creative and production costs of live orchestral performances, but not for day to day running costs. There will also be a higher rate of credit for touring companies and it will also be possible to group together multiple qualifying performances in one tax relief claim. To qualify, the majority of performances must be played by a musical ensemble consisting of 12 or more performances and must include players from at least one of the following sections: strings, woodwind, brass and percussion. The government recognises that many orchestra production companies are charities and charities will therefore be able to access the relief directly and will not need to use a trading subsidiary. However, it will still be open to them to do so if they wish, and this will be a way for non-corporate charities to obtain the relief. The rate of orchestra tax relief will be 25%, but the Chancellor has not yet indicated whether this related to touring performances alone, or to all performances. Although where orchestra tax relief is claimed, relief can’t be claimed under other tax credit schemes such as Theatre Tax Relief (TTR). Furthermore, although TTR has been operational since 1 Sept 2014 we are still awaiting full guidance from HMRC, it was due in Spring 2015 but it has been delayed. We will publish further guidance on this on www.maco.co.uk when it becomes available. Charities, by their nature, tend to prefer cash to other investments. Inflation is an ugly word to cash holders as it inevitably destroys the purchasing power of their asset. This year and continuing at least until September 2016, the EU, in an effort to counteract the lingering malaise of the ECB economy and following over seven years of austerity measures, instituted a programme of quantitative easing that will see more than 60 billion Euro pumped into the European economy. Laura Lambie, Senior Investment Director, Investec, will be joining us at our Charity Forum for Trustees and Senior Managers later in the year. More details to be published soon on maco.co.uk. The law of workplace pensions has changed and every employer with at least one member of staff has a range of new duties, including enrolling those who are eligible into a workplace pension scheme and making contributions towards it. To help you to prepare and to give you an insight into what you need to do before your staging date we have created a simple to follow Auto-Enrolment guide. The guide is about a 30 min read, which will provide you with clarity about what needs to be done, by whom and by when. We have also included our initial assessment of the eligible pension schemes on the market and a summary table which includes the potential cost of setting up and managing the various schemes. We intend for the guide to evolve as more schemes come on to the market and will be publishing regular updates on maco.co.uk. Thinking about a merger, joint venture or alliance with another charity? If so, be sure to do as much homework as you can so that you know exactly what you are getting into – leaving no stone unturned. Charities often join forces, by entering into partnerships, joint ventures and via full mergers for a number of strategic and operational reasons. For instance, by pooling resources and capabilities the charities joining together will be in a better position to compete for and secure larger contacts and funding streams. By amalgamating back office and administrative functions, there is opportunity to achieve greater financial and operational efficiency savings which in turn will lead to more funds being channelled towards the front line activities. And quite simply, by creating an enlarged operation, either as permanent merger or as temporary alliance or joint venture to e.g. deliver a service contract on behalf of a local authority, the larger organisation is likely to provide service users with improved access and an expanded range of services/advice. If you are considering a joining forces with another charity either on a temporary basis or permanently, we can help. Option assessment: We will discuss your current situation, strategic objectives and the potential options – mergers, alliances, joint ventures, sub-contract etc that are available and which is most suitable for your charity. Know your partner: We will undertake due diligence on your proposed partner and we will provide you with a report which covers the key strategic, financial, risk management, people and governance matters. We will provide you with a full dossier and our experience assessments so that you know exactly who you are thinking about working with warts and all. Tax: There could be potential tax charges that arise from joining together with another charity. We will ensure you know exactly what liabilities could arise and if there ways to reduce or remove the liability we will make you aware of what needs to be done. Reporting and administration: We will ensure that you stay on the right side of the regulator and will report your intentions and actions to OSCR as appropriate. There’s a short piece in the latest Investec Charity Matters newsletter which looks at the some of the legal issues that you may encounter if you are considering a merger. It’s worth a read especially if it’s on your boardroom agenda this year. Tax planning need not be overly complex. It’s just about knowing which tax rates, reliefs, allowances and tax breaks that are applicable and available, and knowing when, where and who should use them. That’s why we have put together Tax Planning for Life. It will help you to decide which tax-saving, investment and nest-egg protection ideas are best suited to you and your particular circumstances. Have a look through the guide >click here, taking note of the key tax dates on the back page, and give me a call to arrange an appointment to discuss how you would like to get on the front foot this year by creating a tax plan for your life. At a minimum, it will help you to avoid paying HMRC a penny more than is due. We don’t just help our clients to pay their taxes, we help them to plan ahead to reduce their tax liabilities whilst maximising the income they receive from their working life, retirement and investments. We do hope you find Tax Planning for Life a useful reference document and aide memoir. Summer Budget July 2015 > Just in case you missed the announcements earlier in the July, an overview of the changes and impacts. Alan Eccles, Partner, Brodies, who is one of our hosts at Martin Aitken & Co's Trustees Forum events later in the year, has produced a useful summary of the July Budget and the impacts on charities. Beatson Cancer Charity is determined to beat cancer. Martin Aitken & Co’s charity partner 2015/16 is the Beatson Cancer Charity and we are looking forward to getting involved in a range of activities over the next 12 months to support their work. We will be publishing updates of our activities on our charity pages on maco.co.uk and we will feature some of our exploits in the next edition. In the meantime, if you are not familiar with the work of the Beatson, the following will provide you with an insight to the truly fantastic work they do. BCC are committed to raising significant funds to enhance the experience, treatment, outcomes and wellbeing of current and former cancer patients and their families. They provide a comprehensive range of patient and family support services including patient wellbeing and complementary therapies provided through their unique and award-winning Wellbeing Centre. BCC are dedicated to enhancing people's outlook at every stage of their cancer journey throughout the Beatson Cancer Centre and related facilities across the West of Scotland. They also fund a range of specialist posts including nursing, radiography, physics and research-based staff as well as for enhanced medical equipment, innovative service developments, unique research projects and educational initiatives. Martin Aitken & Co Ltd is one of Scotland’s leading independent firms of chartered accountants and business advisers. Monday, 25 February 2019 VAT update: reverse charge from Oct 2019, things to watch out for in your VAT return, MTD for VAT and VAT explained video series.